Whether you need an Interior Designer to help you coordinate your home or business space, or your dream is to create a special place, give me a call. My hourly rate is reasonable, and I will work with you to stay within a realistic budget. All work and products are satisfaction guaranteed. We can provide you with upholstery, slipcover, and drapery fabrics, and the specialists to do the job beautifully, no matter how large or small. Is color coordination a challenge for you? Do you need a space reorganized because it doesn't "feel right"? Do you need help selecting additional furniture that "fits" with what you already own? Do you need to do something special with those drafty windows where you lose all your heat in the winter, but have so much solar gain in the summer that it's stifling? I can help! My specialties are color-coordination and custom window treatments, offering many brands and design options. However, I'm happy to work with clients wishing to fabricate their own, and I carry fabrics and supplies for whatever your needs. My upholsterer does beautiful work that would make your grandmother proud to see her special chair or sofa dance into its new life. My other passion is art and nature photography, preferably using natural light. I photograph a limited number of weddings, using a more photojournalistic approach, once again using natural light as much as possible. My goal is to make your special day one that will come alive, bringing warm memories flooding back, each time you look at your wedding pictures. ...Photography is magic, capturing special moments to live on forever! My other creative endeavor is designing jewelry, mostly one of a kind pieces, from whatever materials happen to catch my fancy at a particular time. 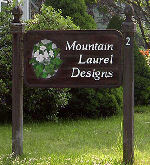 My jewelry can be viewed and purchased at various local art and craft shows, along with my art and nature photography. My husband, Steve Hamlin, established the business as a fine upholstery and custom woodworking shop in 1989. After a couple of years of helping Steve and his clients coordinate colors and furniture, he invited me to collaborate with him, so I traveled to New York City and the Boston area for some formal training. In 1994, I earned WCAA (Window Coverings Association of America) certification in window treatments, to further broaden my horizons. The creative collaboration of our interests has evolved over the years, and my focus has remained centered mostly on interior design and photography. Steve has been designing websites since 2004, and started New England Web Art in 2008. In 2007, after a 21 year hiatus, Steve returned to his passion of watercolor painting, and is now entering shows, garnering awards, and teaching a limited number of classes. His work may be viewed and purchased on his art website, stevehamlinart.com. Thank you for your interest! If you have any questions, please feel free to call me-I'd love to work with you!